Welcome to our Digital Music Store! Hustle Up Starlings and its minimalist acoustic companion album, Starlings Unadorned, are NOW AVAILABLE for Immediate Download. Simply scroll down and Click "Buy Album"
We appreciate when you purchase music directly from us. The digital store is below so please browse what we have available. There's some exclusive music to be found at the bottom, so be sure to check that out! If you can't find the album or song you're looking for here don't hesitate to check out Amazon or iTunes. The physical mail-order store is now OPEN! So if you're looking for Mail-Order CDs go HERE! 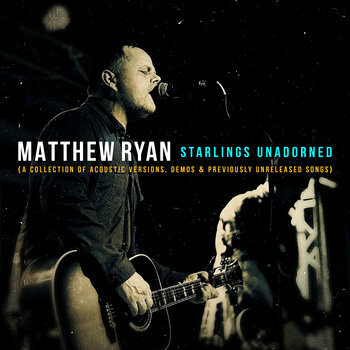 Starlings Unadorned is a 12 track collection of cinematic acoustic versions of selected songs from Hustle Up Starlings. It also contains some previously unreleased demos and songs. Often after you finish a new album, you have to sit down and re-learn the songs on your acoustic because of all the flourishes and skin a band brings to them in the studio. What you're hearing here is the result of that process. Starlings Unadorned also contains some songs and demos that had yet to find a home. They just felt right here and seemed to expand the story. I hope you enjoy that little peek into my demoing process. I'm releasing this now to help my band and I tour with The Gaslight Anthem in the UK and Europe this summer without the stress of finances hanging over us. We are fully independent and DIY, and the costs of doing international shows in a humane fashion can be overwhelming, if not prohibitive. We love the guys in The Gaslight Anthem and we really love that they are celebrating the 10th anniversary of their beautiful breakout album, The '59 Sound, with a bunch of shows this year. I had planned on releasing Starlings Unadorned later this year but felt that now would be the time to share it with you so we could put whatever income you guys gifted us with to good use on this upcoming tour with Gaslight. We've set the price for Starlings Unadorned at $10 / Or Pay More If You Want. For people to actually pay for music these days (which so many of you reading this do...) is an act of love. But please don't feel you have to pay more than $10. It's simply a way for you to contribute more if you feel compelled to. And as always, if you're inclined, please share news of this release via your socials and with friends. Thank you, Guys. Thank you for continuing to welcome my work into your lives. The Digital Album of HUSTLE UP STARLINGS is NOW AVAILABLE for immediate download! 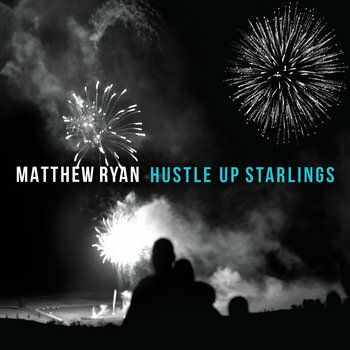 Interested in Hustle Up Starlings on CD? The CDs are beautifully designed, complete with an 8-Panel booklet of photos, credits, full lyrics and an introduction by Michael Koryta. 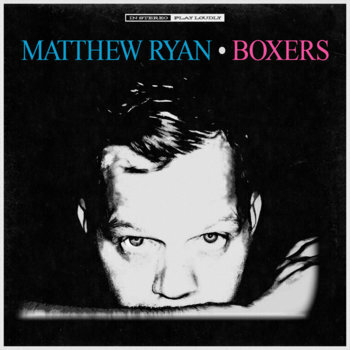 Visit www.matthewryanonline.com for all details. Thank YOU for purchasing music. It means the world to all of us. 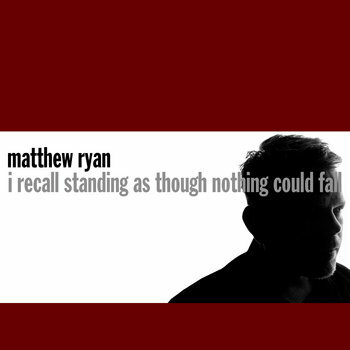 Visit www.matthewryanonline.com for all News, Tours Dates, Announcements. Current EVENTS is an 8 song collection of ambient instrumentals by Matthew Ryan. 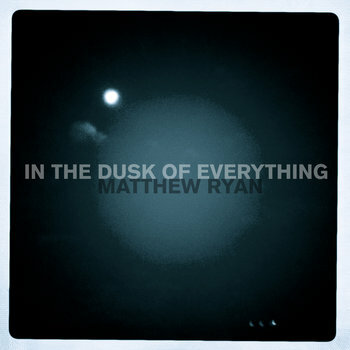 It's only available DIGITALLY via www.matthewryanonline.com and Bandcamp. If you love it, please share news of its release. This was a labor of love. 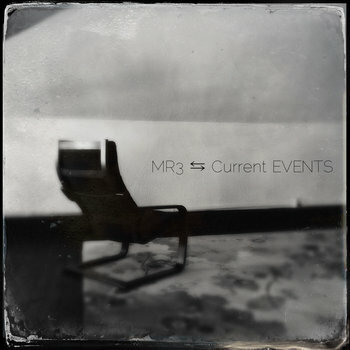 Current EVENTS is a minimalist collection of instrumentals, no voice or lyric. These are chords and notes and sound with a purposeful depth of field and primal melodies, and mood. Essentially, they are tone poems. Some are quietly noisy, others are beautiful and brief. All are ambient, intimate and environmental feeling (by environmental I mean that they should participate in your surroundings, their intent is not to dominate your thoughts or surroundings). Each one took hours to perfect, even the shorter pieces. Tone and feel were paramount, I was looking for a very specific air. Each "song" flows from one to the next, not unlike a straightaway, or particularly cinematic line of trees. Continuity was my aim. It's about 22 minutes long. I've loved the ambient work of Brian Eno, and the instrumental work of Ryuichi Sakamoto for years. The Cinema Paradiso pieces by Ennio Morricone have been constant companions for me since forever now. I've often thought instrumental music was the most generous music because it imposed no dialogue. It's pure, and allows each of us to immerse ourselves in our own stories and plots and beauties and aches. I've often found that some of my best lyric writing comes after a period of listening to a lot of instrumental music. Almost as if the absence of language reconnects me to my own interior. That's what I hope this collection offers to you. I don't pretend to be as proficient at this type of music as the artists I mentioned above, or even as my friends in Hammock and Our Ceasing Voice. I am a tourist when it comes to this. I don't consider myself a composer or even a particularly gifted arranger. But I am a pretty good at offering weather via sound and simplicity, and I love the process. Hopefully these pieces become ladders and ropes and hallways to your own thoughts. Ultimately, that's the goal. Again, at its root, I hope this collection offers you yourself. That's why there's no voice or language on Current EVENTS. I wanted you to hear your own voice here. It's my guess that that's what a song should always be doing, because in ourselves we find each other. As always, when you purchase music, it helps artists to continue offering the work we do. It is always with a giant Thank You that I welcome your participation and advocacy. Music as a listener, and a creator, is an act of love. It really is. I always try to offer you the very best of what I'm capable of. I'm currently working on a new album that was produced by Brian Fallon (of The Gaslight Anthem). It's more in the vein of what you'd expect from me. Actually, I believe it speaks to much of the best of what I do in song and sound. But that's for a moment just a little further down the road. Expect that album in 2017. But right now, I hope you enjoy Current EVENTS. By purchasing this collection you make my continuing forward all the more navigable. So again, thank YOU. To encourage you to listen to the collection as an entire piece I've priced individual songs at $2. The entire collection is priced at the very fair price of $7. I hope you'll consider buying the whole collection. Above all though, I hope that this music makes for a good companion. We're proud to announce that BOXERS is now live and available for immediate PURCHASE & DOWNLOAD! Upon downloading the album we suggest 320 sized MP3s because they sound pretty good without occupying too much space on your mobile devices. But do what you feel comfortable with... And remember: PLAY it LOUDLY! In addition to the (11) tracks on the album, there are 2 BONUS TRACKS included in the digital album purchase. One of those tracks was recorded during the BOXERS sessions, and the other is a punkier rawer home-recorded demo version of "Then She Threw Me Like a Hand Grenade." We've added an option for you to pay more than $11 in response to how many of you have asked how you can help. Making records is still expensive, especially when you do it the way we decided to: self funded, in a proper studio with a great gang of humans collaborating. We're very proud of this record and plan on doing all we can for it over a long period of time. Your purchases are sincerely appreciated, and will help fund our efforts!! Please be patient as the campaign unfolds with physical product, and stay tuned for touring planned with a full band! In The Dusk Of Everything is a collection of songs that is intended to be experienced as a piece, from beginning to end. It's not really a concept record, but an aural film where each song is a vignette circling a theme and mood. I wanted to make a modern folk record, but I ended up with a folky mood record that owes as much to the American Folk Tradition and punk's honest, vulnerable balladry; as it does to the minimalism of Brian Eno and Arvo Part. It's the earthiest collection of songs and music that I've offered in quite some time. The majority of this music was recorded directly to 2 inch tape via one performance in the time it took to sing and play. This album was made over months. I started writing it in the early winter of 2011 after moving to a cool little river town just outside of Pittsburgh, PA. I'd lived in my adopted home of Nashville, TN for years, but it was time for a change. It feels good to be back in the state where I was born. In The Dusk Of Everything was recorded and mixed between April and July of 2012. I made this record with the help of the great talents and production wisdom of David Ricketts, the producer of my first album, May Day. The words are warm and loud, and thanks to the mastering of the talented Hans Dekline, the album sonically has a quiet depth and cinema. This album was financed entirely by money I earned via previous albums and creativity. I believe the risk I take to be creative with my life and my work is clearly my own. But it does make it all the more important that if you love it (and assuming then that it has value to you) that you buy it. I only offer you music that I absolutely believe in. And by purchasing it you contribute directly to my ability to make more music for you, us. And I appreciate that relationship more than you may know. 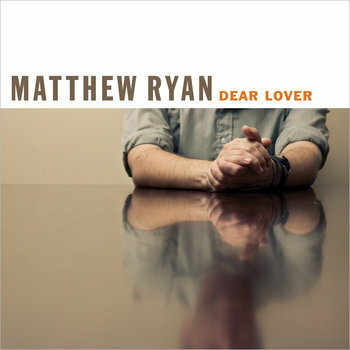 Dear Lover was written, recorded, produced and mixed at Ryan's home. The majority of what you here was played by Matthew Ryan with friends that came out to the house to help fill things out (see the complete credits below). Dear Lover also includes the track, Spark, which is a collaboration with DJ Preach.